It’s the chilliest standoff between Russia and the West since the Cold War. More than 5,000 people have died in the Ukraine conflict, including the crew and passengers of the Malaysian Air plane shot down in the east of the country last July. This doc takes us back to beginning, to January 2014, and so close to the action that your eyes will sting from the burning tyre smoke. 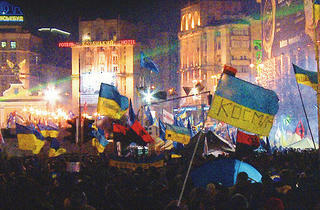 Director Sergei Loznitsa joins anti-government protesters in Kiev’s Independence Square (Maidan Nezalezhnosti). Everyone looks freezing, breathing little clouds into the cold air as they sing the national anthem. But they are in party mood, chanting against the country’s Moscow-backed leader Viktor Yanukovych, who’s just rejected a deal to move Ukraine closer to Europe. From the displacement of thousands of civilians to the flight MH17 disaster, the sheer scale of human suffering brought about by the Ukraine conflict has all but overshadowed its roots in Maidan square. 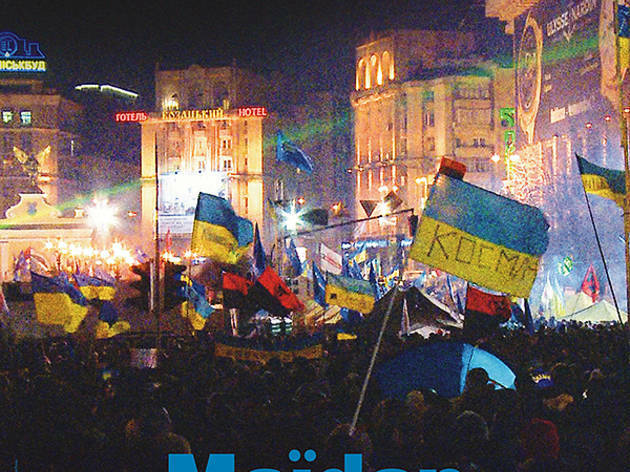 Sergei Loznitsa’s documentary revisits the many sides of the Euromaidan movement, from peaceful protests to violent battles for control of the site. Loznitsa’s keen focus on the mass involvement of the people makes this an emotive document of recent history.